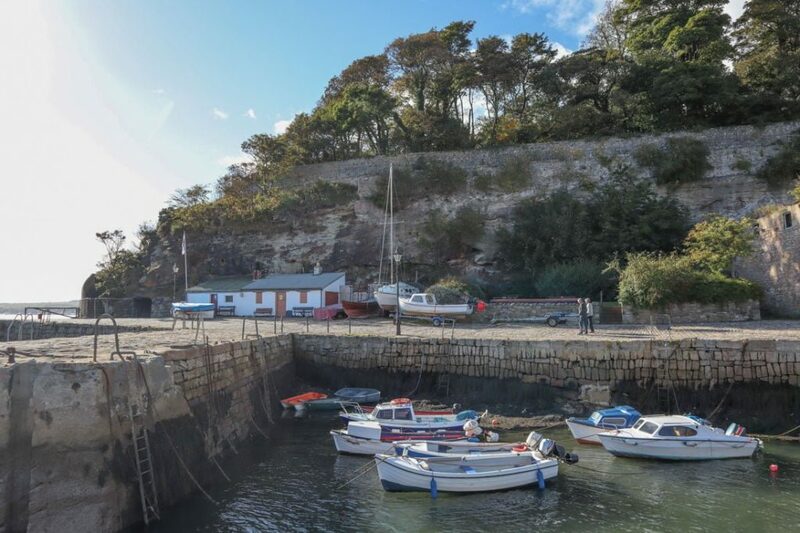 You’ve fallen in love with the hit TV show and now it’s time to discover the filming locations! 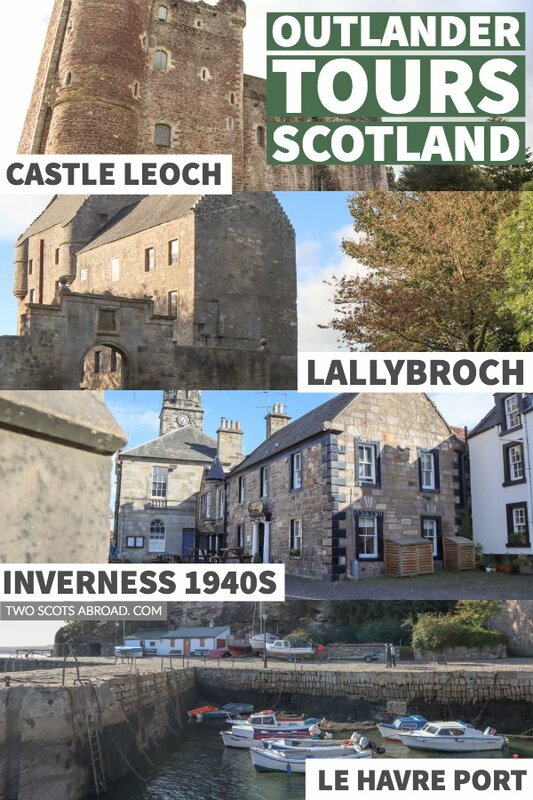 In this Highland Explorer ‘Outlander Explorer’ Tour review we are going to take you to Castle Leoch, Cranesmuir, 1940s Inverness, France (Le Havre Port) and Jamie’s house (Lallybroch). 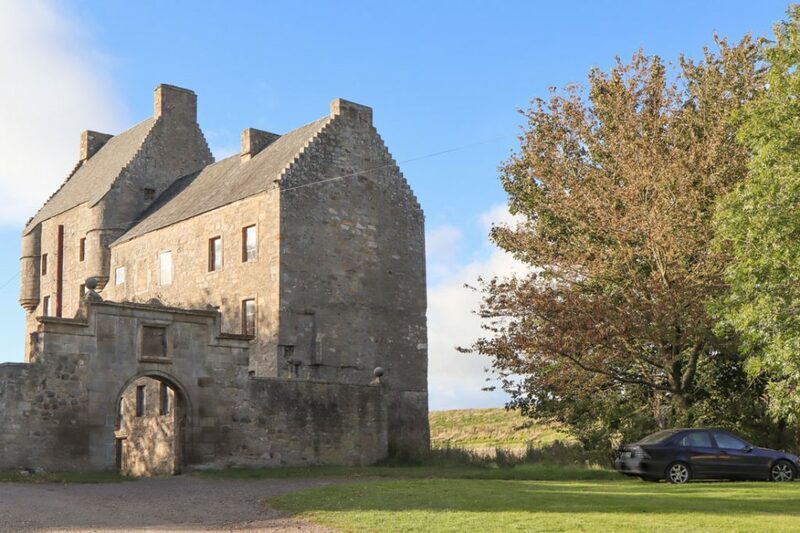 This day trip from Edinburgh lasts nine hours, stopping at five Outlander locations. Leaving the Highland Explorer offices on the Old Town Royal Mile at 08:45 (check-in 08:30), your guide/driver (hi, Fiona!) will get you on the road to Doune Castle, or Castle Leoch as you know it. This stretch of the tour has the right balance of information and chill out time to an eclectic mix of Scottish music (no bagpipes). 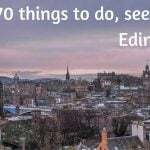 Learn why Edinburgh has the nicknames ‘Old Reekie’ and ‘Athens of the North’ as you drive down the historic Royal Mile and then the New Town’s Princes Street with Edinburgh Castle looking glorious in the background. Not an Outlander fan? Dragged along by your partner? No problem, the tour caters for Scotland lovers too with its funny stories and historical accounts. After a sneak peek at Linlithgow Palace from the bus window, the striking Kelpies in Falkirk and Stirling castle from afar, you arrive at Doune Castle. At first, you’ll think it’s a grey structure with a saltire flying high but don’t be fooled by its simplicity. 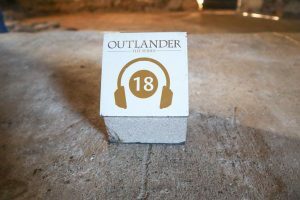 As you walk up to the castle’s black metal gates a steward will hand over an audio guide packed with historical information about Castle Doune and also, the reason you are here, the filming of Outlander! 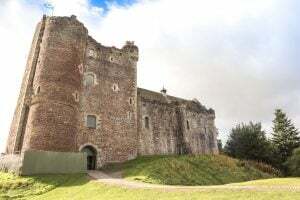 The hour spent at Castle Leoch goes by quickly, you need to hit start on the audio guide immediately to fit in the historical stories narrated by the one and only Terry Jones from Monty Python. Did you know that Monty Python and the Holy Grail was filmed here too? From chapter 17 you will hear a familiar voice; Sam Heughan who plays Jamie Fraser. Heughan talks you through the stage kitchen where Mrs Fritz boiled hot water for nurse Claire Beauchamp Randall/Fraser (Caitriona Balfe) to tend to Jamie’s wounds. He also discusses the Scottish language, Gaelic, and sport, shinty. Back on the bus to the next stop, Culross in Fife, your guide chats more about Scottish history and explains the Jacobite uprising. The Jacobite uprising has a silly double meaning. 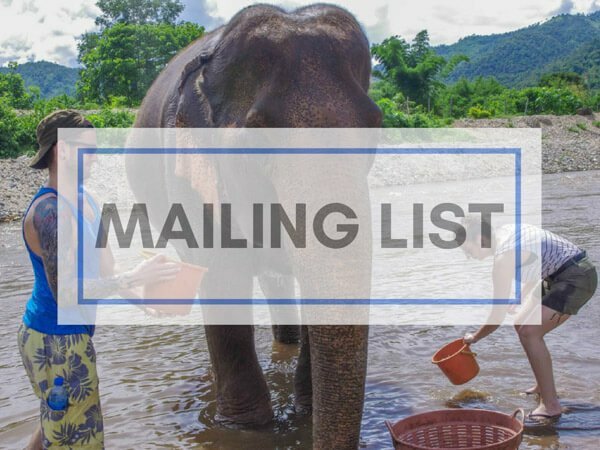 You’ll need to book your spot to find out what it is (you’ll giggle). 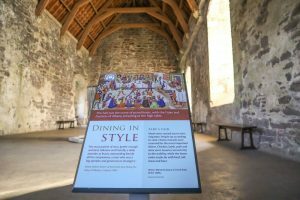 Doune Castle is not shy of the silver screen it appears, now starring the new Netflix film, Outlaw King. You learn more about the film and its place in Scotland here. Culross is home to Cranesmuir which is where Claire and Geillis Duncan are accused of witchcraft. 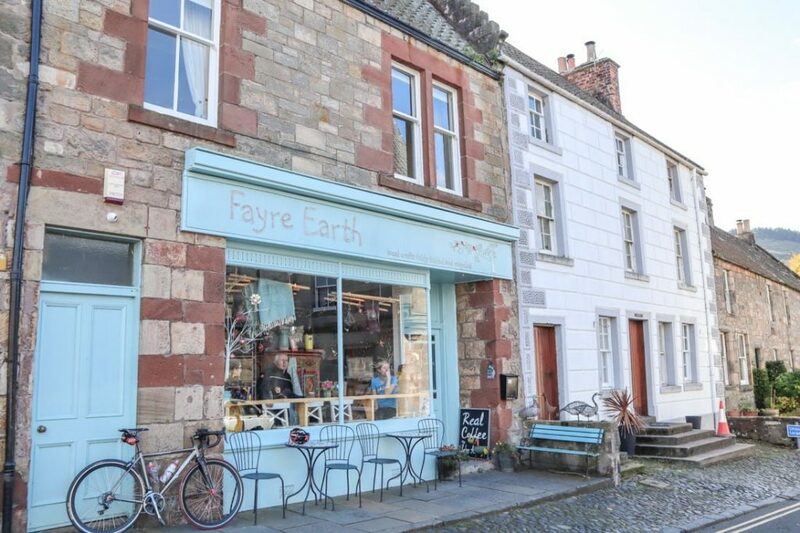 It is also one of the region, The Kingdom of Fife’s, cutest villages. 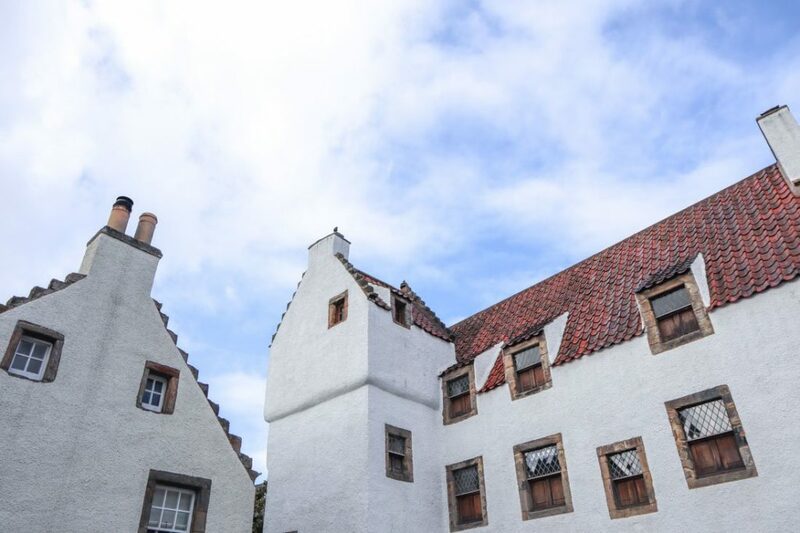 Expect cobbled streets and the stunning Culross Palace where Claire’s herb garden (at Castle Leoch) can be found. The stop lasts for thirty minutes and like Doune Castle, you independently manage your time. 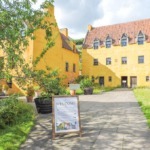 The cost of entering Culross Palace is £2.50. The ‘free’ view on the gardens is poor, pay the small fee to see it. Well worth the price of a cheap coffee. If you head to the first cobbled street and turn left you will find Geillis and her prosecutor fiscal husband’s house. The crew painted all of the house exteriors grey and brown, thankfully now they are back to their normal bright white and colourful selves! This is also where the young boy who was caught stealing nearly faced punishment. 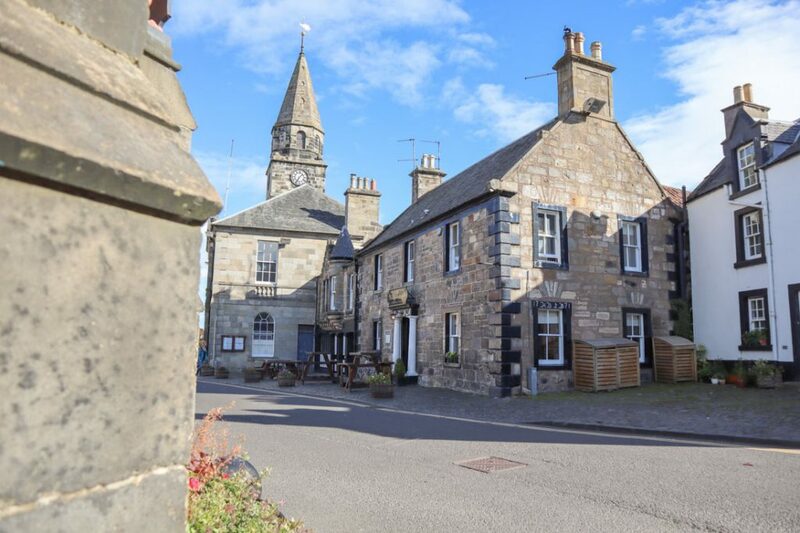 Falkland, also in Fife, is home to Mrs Baird’s B&B (which is actually accommodation, check out availability at The Covenanter Hotel), Campbell’s Coffee Shop and the store where Claire admired the vase. Of course, you have to get the mandatory shot of where Jamie’s ghost looks up at Claire by the fountain. Here you have an hour to wander and grab lunch at one of the many cafes/pubs. I dined at Campbell’s Cafe (naturally). It was extremely busy, I struggled to finish the goats cheese and beetroot on sourdough bread in time. The staff were very efficient but I kind of felt like I was part of a London tourist attraction with the ‘wait to be seated’ queue outside. One for the diehards! If you bring your own lunch you might just have time to visit Falkland Palace which is a Renaissance palace with a large garden. A scenic waterfront with boats, some housing and not much else was transformed into the French Le Harve Port for Outlander. Busiest stop of the day, all the mad Outlander fans (read rude) are present at Midhope Castle. It is difficult to get a photo without someone stepping into it and doing the teapot pose. Why? This is where Jamie lives! Well, on the TV show anyway. The 16th-century tower house is not open to the public but the arch where Jamie is flayed is free to Instagram. Ouch. 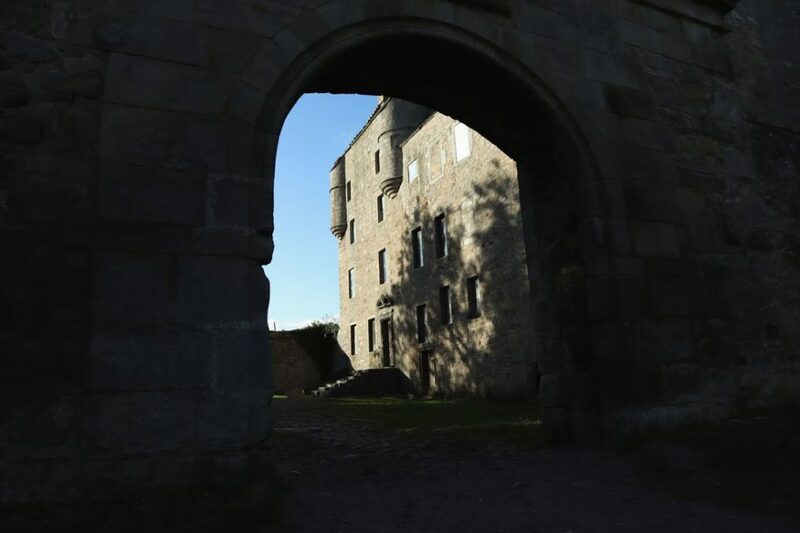 If you have ample time you could also explore Outlander in the north of Scotland. 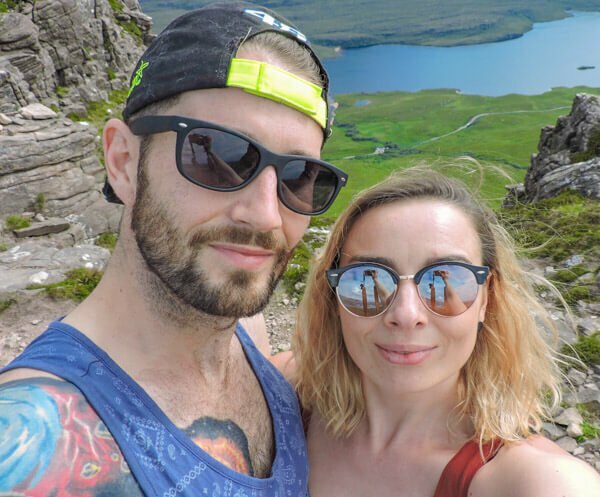 Check out my friend Kay’s guide to Outlander in Inverness. The Highland Explorer Outlander Tour leaves at 08:45 from 66 High Street, Edinburgh. You need to check in at 08:30. The bus is comfortable and spacious. There are big windows to admire the scenery from. A decent sound system for the Scottish tunes and aircon/warm air. This is a popular tour, the Outlander Effect has increased footfall at Doune Castle by 91%! Book early to avoid disappointment. 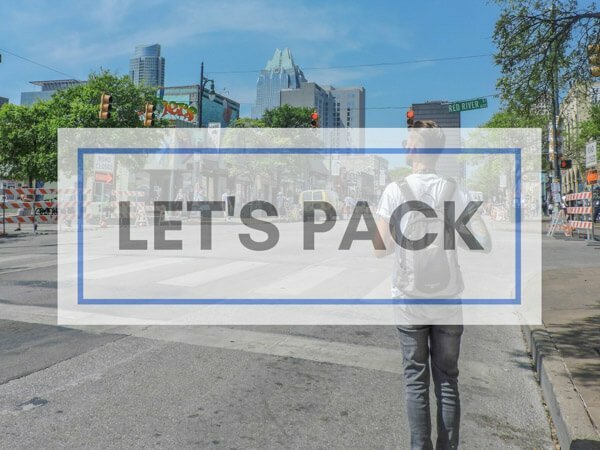 During Summer tours run on a Thursday and Sunday. In Winter there is now a Sunday tour (woohoo). Castle Doune is an additional charge of £6, arrange this with Highland Explorer before the tour. They’ll ask you again at check-in. Everyone on our bus paid the entrance fee, it will be a long hour without access to the audio guide. There are toilets Doune Castle (free), Culross (30p) and Falkland (30p). There are none at Midhope Castle. 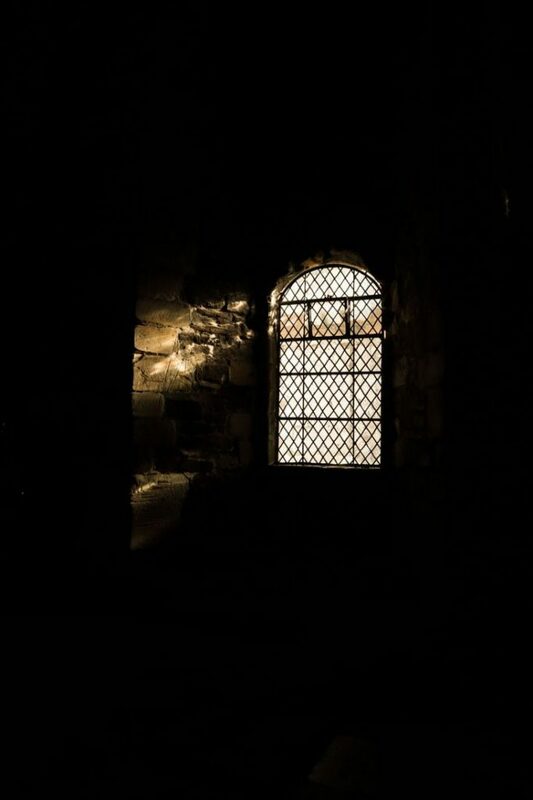 Although there is minimal walking (longest we walked was five minutes from the bus to Culross then another 10 around the village), many of the streets are cobbled and Castle Doune has lots of low ceilings so watch your head and footing! Salomon trek trainer, waterproof too. 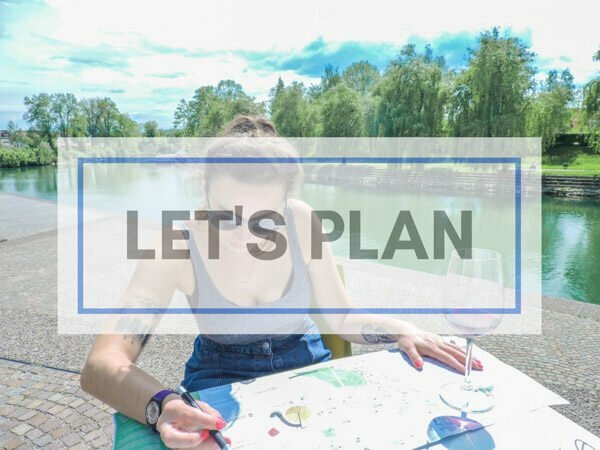 Bring your camera, the locations you will visit during the tour are very photogenic. 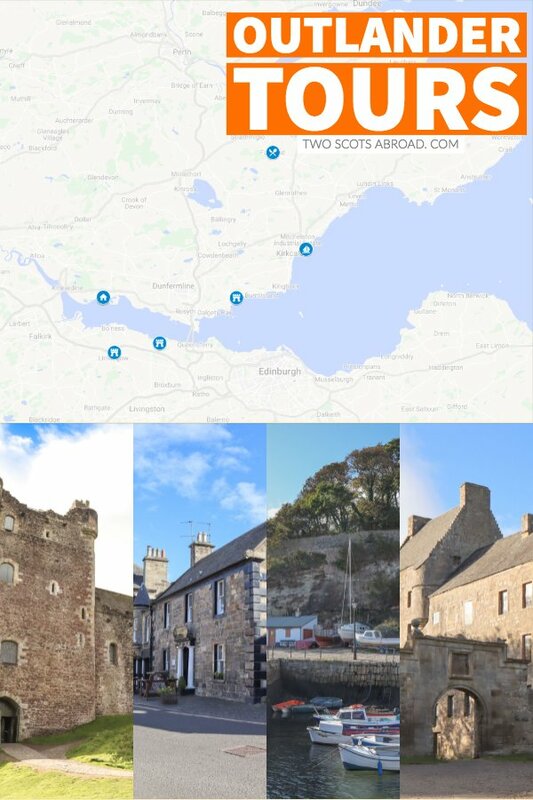 Although the majority of the filming locations on the Highland Explorer Outlander Tour are just exteriors of the buildings, with lots of movie magic being done at the studios in Cumberland, it is still a worthwhile day trip from Edinburgh. 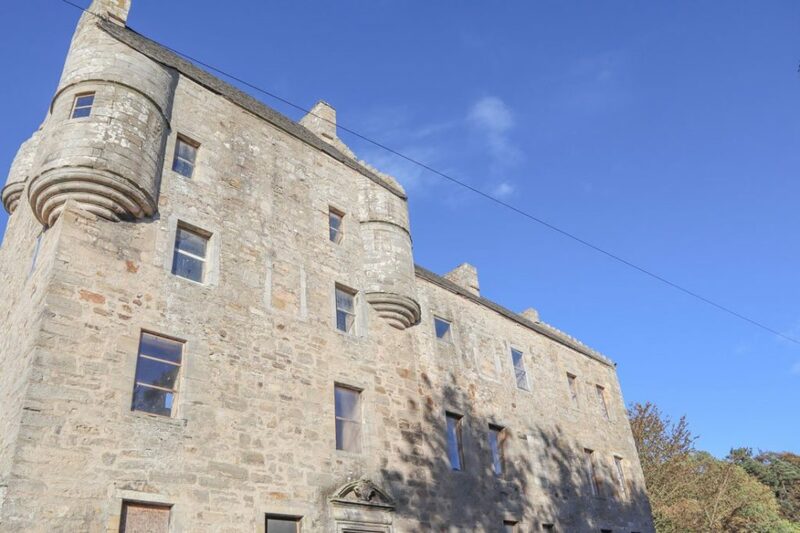 From the crumbling walls of Castle Leoch to the cute cobbled streets of Culross, shop fronts of Falkland and arch at Midhope Castle, Outlander (and history) fans will want to book a seat on this tour, regardless of the season. 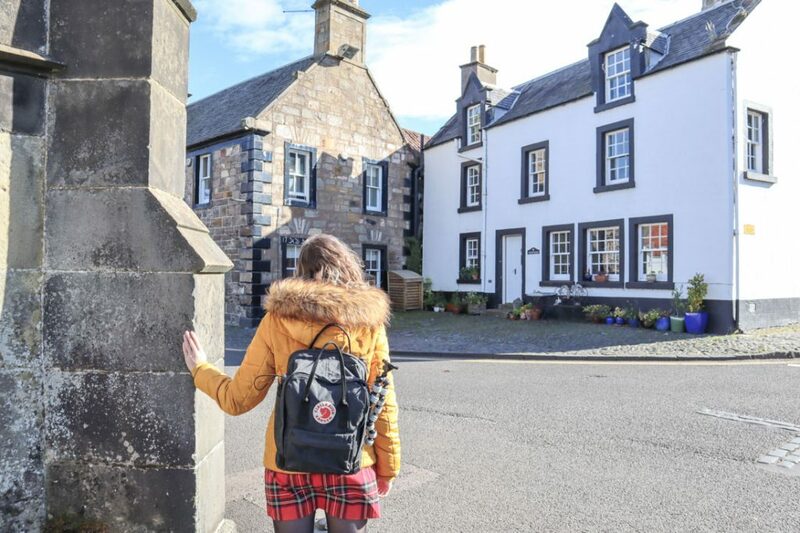 This Highland Explorer Outlander Tour is actually a combo trip – you get to explore Outlander locations and learn about the history of Scotland too. A bogof tour well worth £49. 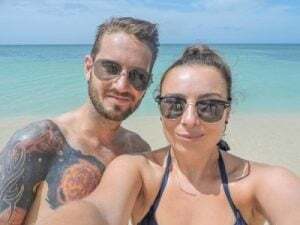 *Disclaimer: I partnered with Highland Explorer Tours – this is an honest review as always! Hi Gemma, it’s Daryl and Alexandra (your Canadian friends from the Outlander tour). We enjoyed our day in Edinburgh, with a visit to Edinburgh Castle and a Harry Potter walking tour. We could have used more time (the Mary King Close tour was supposed to be good). We had a good drive to Inverness and enjoyed the view from the Inverness Castle and supper at Encore. The next day was a lot of driving nut some great views of Loch Ness, Glencoe, Loch Lomond, etc. We made it to Stranraer and got the ferry to Belfast the next day. We upgraded to Stena Plus and enjoyed the coffee and treats provided. We did some walking around Belfast (even found a Tim Hortons – Canadian coffee chain). Today we did the Game of Thrones tour with stops at the Giants Causeway and Carrick-a-Rede rope bridge. The weather was great and we had a beautiful day. Feel free to check some of the photos i’ve posted on Facebook. Hello! So so lovely to hear from you. I’m just back from a trip to Aberdeenshire myself. I think we went on the same Game of Thrones tour – this one here?